Where can I buy some cool spaceships vehicles from Star Wars? 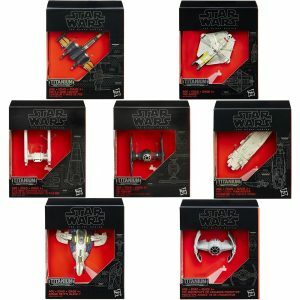 The Star Wars Black Series Titanium set, brings 10 spaceship models made by Hasbro Toys. Watch out, they are not actually made from titanium, but they are the best plastic model toy spaceships with stands that you can find for a Star Wars fan! Each ship has authentic true-to-story detail, a must for any diehard star wars fan, it’s a fun gift for collectors, kids, adults, boys and girls ! The size of the ships is up to 3”L x 2.75”W x 2.25”. And the set of 10 ships includes 2 Poe’s X-Wing Fighters, 2 First Order Special Forces TIE Fighters, 2 The Inquisitor’s TIE Advanced Prototypes, a Kylo Ren’s Command Shuttle, a First Order Transporter, a Jango Fett’s Slave I and a The Ghost. All brand new in individual boxes as displayed in the picture. Start your spaceship collection now or gift it to the Star Wars fan you love! And if your friend or relative is into fixing things, you can buy this awesome Falcon! For only $30 you can have a Millennium Falcon Multi-Tool Kit. Which is toally functional, it is nicely build and have some nice details. yes you can use it as a multi-tool and it probably can take the beating. 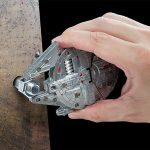 This entry was posted in Toys & Games and tagged black series, falcon, falcon multitool, falcon tool, set, spaceship vehicle, spaceships, star wars spaceship, star wars. titanium on April 2, 2017 by WhereCanWeBuy.